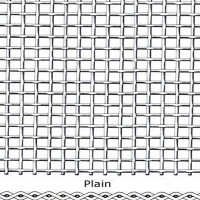 At Tiger Brand Wire Netting, We offer a wide range of wire mesh to cater your needs. 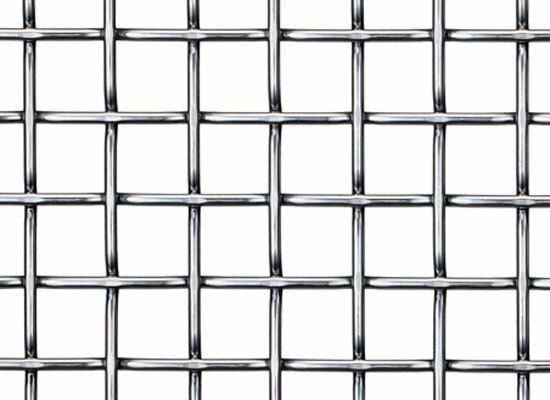 There are various kinds of wire mesh from Stainless Steel Wire Mesh to Perforated Sheets. Every product has gone through various tests and made from quality raw material. They are popular with our customers for their unique purposes and high-end quality. 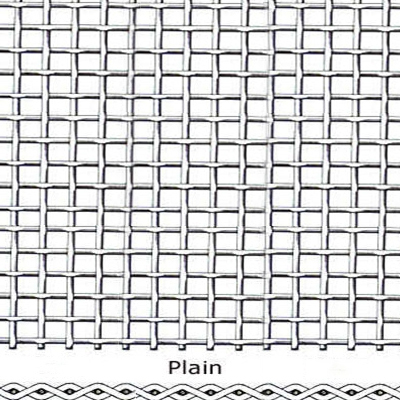 We are proud to introduce ourselves as foremost wire netting products manufacturers. We are bringing forth amazing collection which includes hexagonal wire mesh, square mesh, vibrating mesh, dutch weave, twilled weave, etc. We believe in serving the clients with best quality products. To ensure this, we manufacture our range using premium grade material. The use of high grade material and advanced technology will help in offering features like durability, reliability and long life. The interested clients should contact us to get our range at competitive rates. We ensure timely delivery of your consignment. 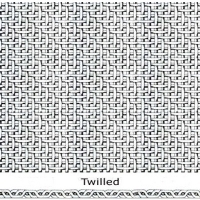 Plain Weave is the most commonly used and simplest wire cloth weave. Each warp wire (wire running-parallel to length of cloth) passes alternately over and under the wires running traversely through the cloth (fill or shoot wires) at 90 degree angles. It has an extremely wide range of applications. 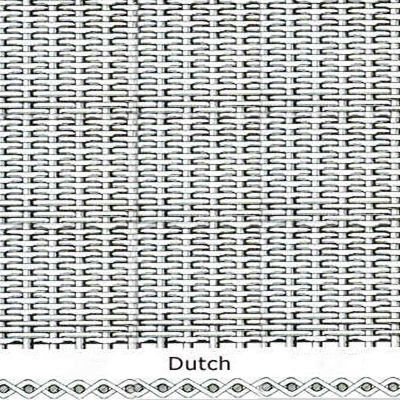 Dutch Weave is produced by the use of coarse mesh (mesh wire, woven wire mesh, wire mesh basket) in the warp and a fine mesh with relatively smaller wire in the fill. 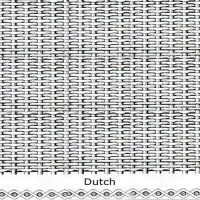 This weave results in greater strength with very fine openings and is primarily used as a filter cloth. The shape and position of the openings aid particle retention and increase filter cake formation. 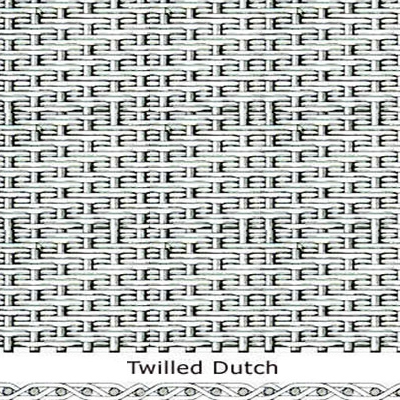 Twilled Dutch Weave is produced by a combination of the features of the Dutch Weave and the Twilled Weave. Fill wires are passed alternately over and under two warp wires forming a fine mesh in one direction and a coarse mesh (mesh wire, woven wire mesh, wire mesh basket) in the other. 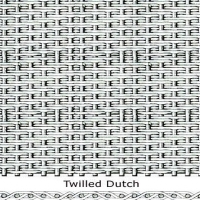 This type of weave is capable of supporting greater loads than the Dutch Weave, with finer openings than the Twilled Weave. It is used in applications where the filtering of heavy material is necessary. 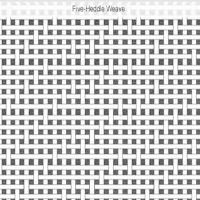 Five Heddle Weave is produced by passing each fill wire alternately over and under five warp wires. 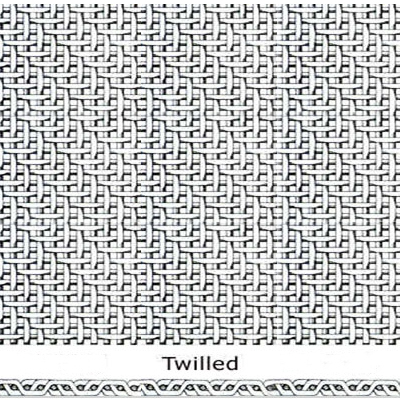 The pattern is staggered on successive warp wires, giving the appearance of parallel diagonal lines. 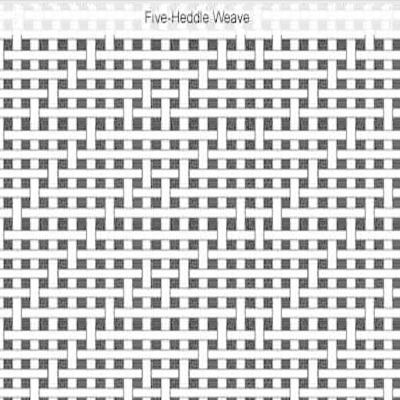 This weave allows the use of proportionately heavier wires in a particular mesh count (number of openings per lineal inch) than is possible in other weave. This cloth has a wide application capable of supporting greater loads.